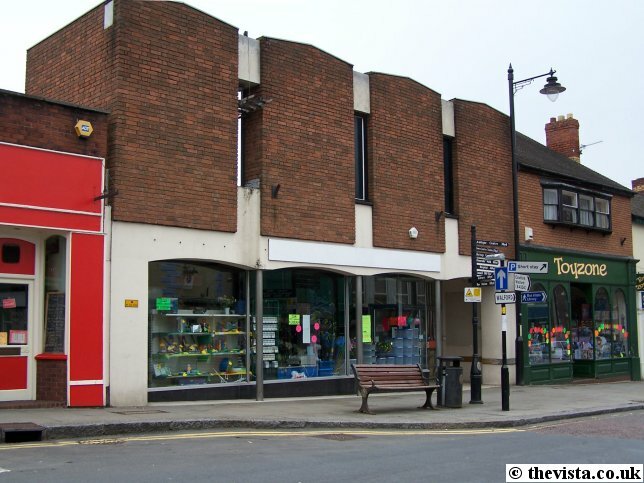 Ross has had a cinema since 1913 when the Kyrle Picture Palace opened in Gloucester Road. Then in 1950, the Kyrle Picture Palace closed and was finally knocked down in the 1970's to make way for shops. 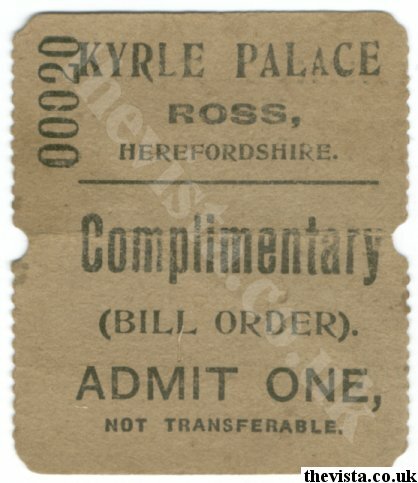 The Kyrle Picture Palace had no audio to go with the films but had a piano to provide musical accompaniment. 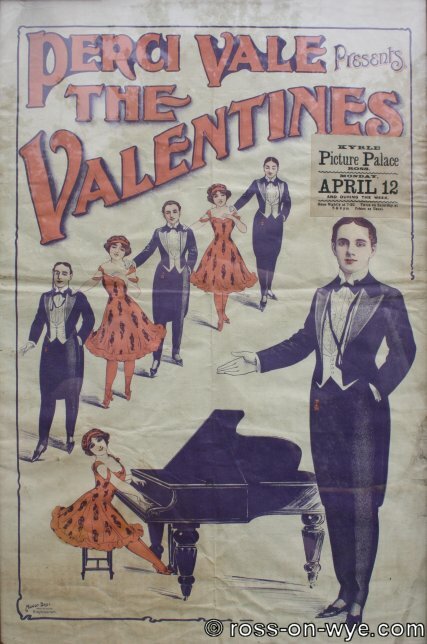 The Valentines opened on Monday 12th April [undated but thought to be circa 1910] and during the week they did one performance at 7-30pm and two performances on Saturday at 6pm & 8pm with "Prices as Usual". 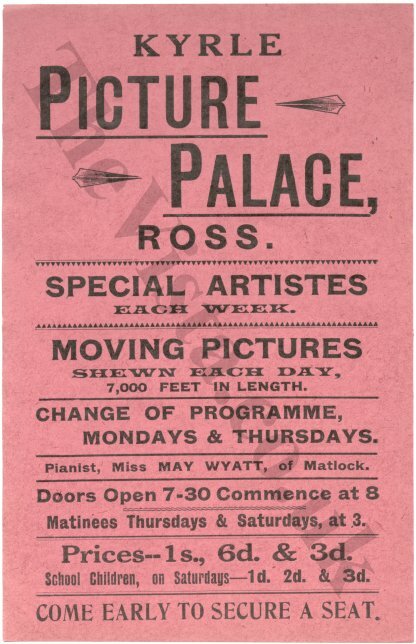 The poster was printed by "Moody Bros. Birmingham" with the Picture Palace times and details added later. 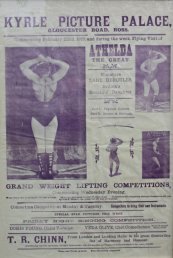 Athena the Great opened on 22nd February 1915 and was dubbed the "Miniture Lady Hurcules" and "Britian's Beautiful Daughter". 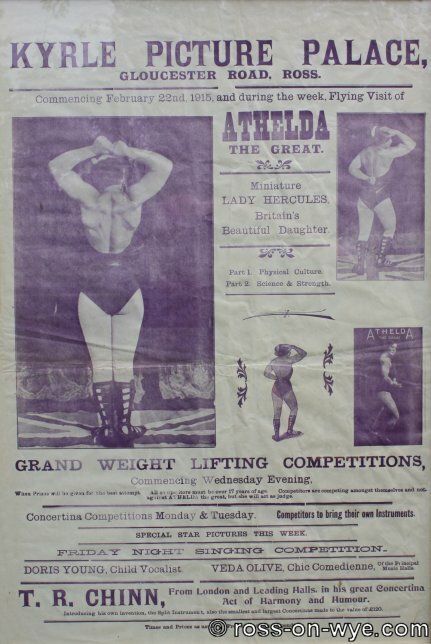 This included weight lifting competitions with Athena acting as the judge. 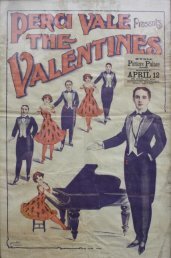 The poster also notes that Concertina Competitions were to be held on Monday and Tuesday (competitiors to bring their own instuments), that on the Friday there was a singing competition with Doris Young (Child Vocalist) and Veda Olive (Chic Comedienne) and that T. R. Chinn (from London and Leading Halls) was performing in his great Concertina an "Act of Harmony and Humour". He also had his own design of Split Instrument and also the smallest and largest Concertina made to the value of £120.